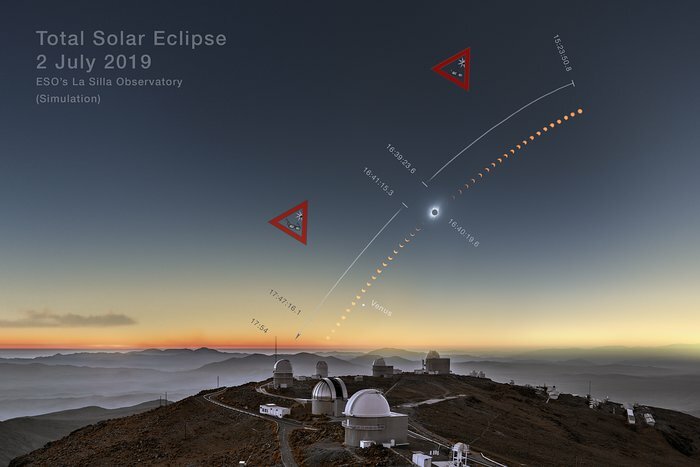 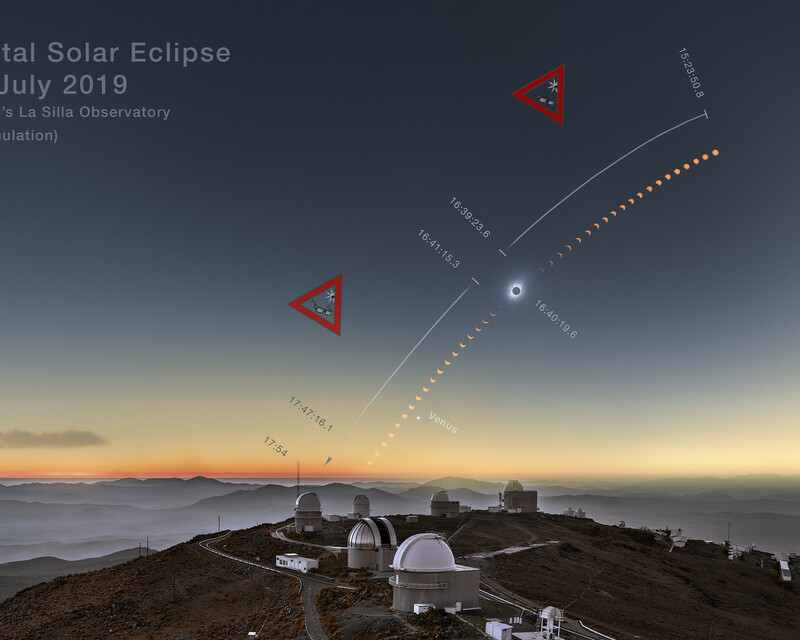 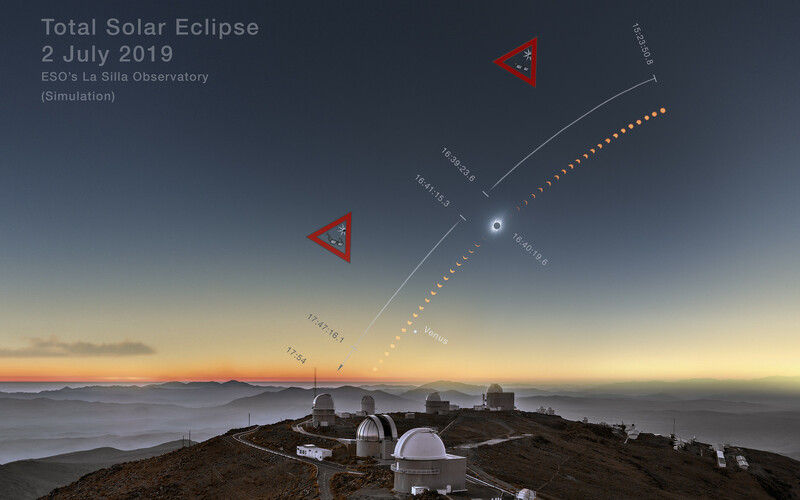 This clear-weather simulation shows how the eclipsed Sun could look like in the sky above La Silla on 2 July 2019 if there are no clouds (more information). 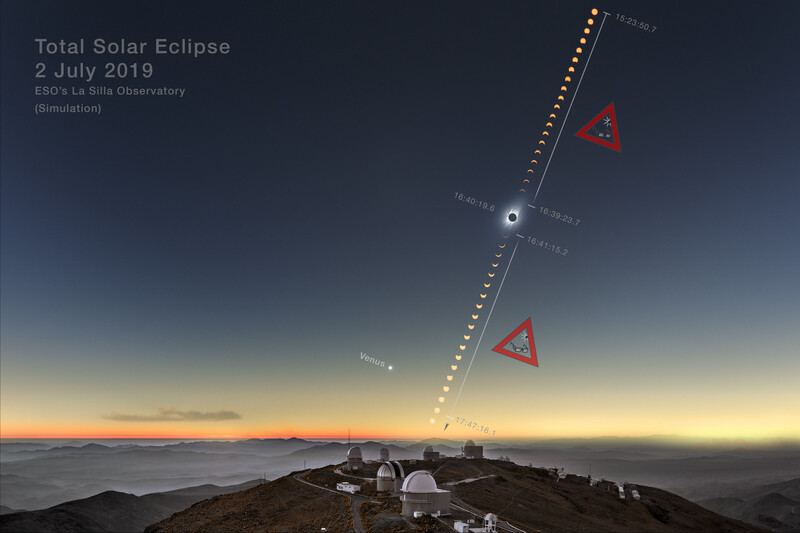 An unannotated version of this image is available here. ESO/B. 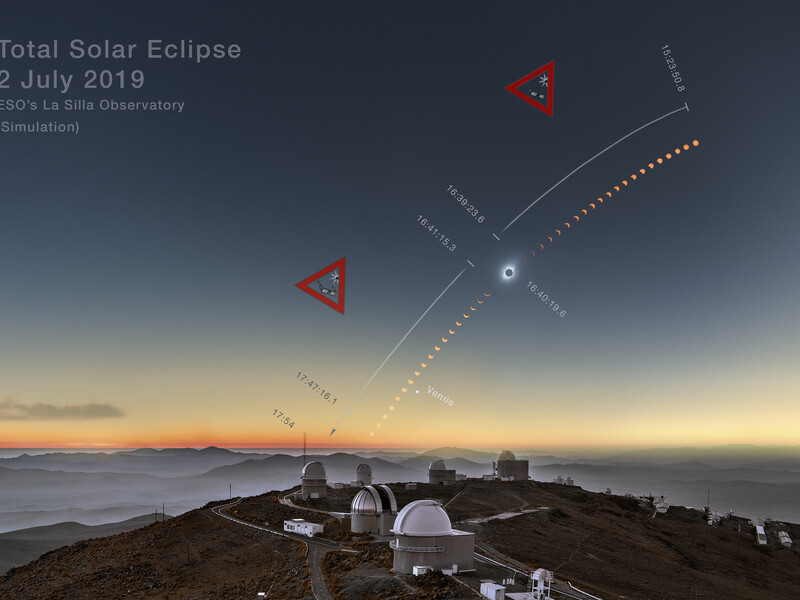 Tafreshi (twanight.org), M. Druckmüller, P. Aniol, K. Delcourte, P. Horálek, L. Calçada, M. Zamani.